To subscribe to a product; select the “Autoship and Save 5% at checkout” box on any applicable product. Once you click that button, select “Choose Frequency” – every two weeks, 1 month or 2 months. Your initial order will be processed within 2 business days of completing your order. Your Autoship order will continue to be placed every two weeks, 1 month or 2 months (depending on your chosen frequency) based on the date you placed your initial order. You must register for a MCBDshop account on our website in order to subscribe to products. Cancel anytime before next shipment. Other promotions, discount codes or limited time offerings cannot be combined with MCBD Subscriptions. Excellent for targeting specific conditions directly at the site. Extra Strength M CBD Salve is highly concentrated with 1000mg of CBD. It’s soothing for all muscle aches and irritations. Everyone will benefit from our salve. M CBD Salve combines our organically grown full spectrum phytocannabinoid-rich hemp oil, beeswax, medium chain triglycerides, organic lavender essential oil and organic eucalyptus essential oil. Get your life in balance with MCBD products. WHY CHOOSE M CBD SALVE? With M CBD Salve, the CBD healing begins as soon as the product is absorbed. This product is excellent for treating joint pain, for addressing skin-specific conditions like eczema or psoriasis and for targeting irritation and inflammation directly at the site. M CBD PRODUCTS ARE THE WORLD’S BEST ORGANIC HEMP-BASED PRODUCTS. M products contain zero THC— meaning you enjoy all of the incredible benefits of CBD with none of the psychoactive side effects of marijuana. 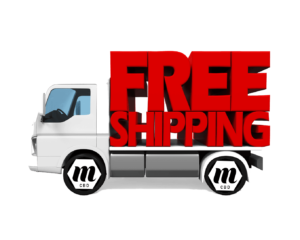 Get it fast with free shipping anywhere in the U.S.A.
We stand behind our products 100% and guarantee them with an M Brands 30-day money back guarantee. M CBD hemp is proudly grown in the U.S.A. and certified organic. Many of our competitors grow their products overseas and manufacture and process them domestically. Not us. We maintain rigorous farming standards, and we oversee every step of the production process. This attention to detail ensures that the products we offer are both high-quality and responsibly made. All of our organically grown hemp products are proudly manufactured in the U.S.A.
M CBD hemp oil is full-spectrum. Our products contain all of the cannabinoids present in our proprietary, nutrient rich strain of hemp known as PCR hemp. Feel more than just the benefits of CBD isolate; instead, you get the synergistic impact — or entourage effect — of all cannabinoids and terpenes working together. M Brands performs tight quality controls and consistent manufacturing. All our products are manufactured in a GMP-certified facility that conforms to FDA guidelines. M CBD hemp oil is pharmaceutical grade. Our products are produced following the strictest guidelines and quality control measures allowing us to call them pharmaceutical grade. The highest purity with no binders, fillers, excipients, dyes, or unknown substances. Our team cares about consistency. M™ hemp always comes from the same strain ensuring uniformity. Plus, our hemp oil always comes from the exact same extraction process in the same facility, meaning you receive a product that’s reliable, predictable and effective. MCBD hemp oil is produced with industry leading innovation. M Brands partner is the only company in the world with a proprietary chromatography process that removes THC, waxes and chlorophyll while leaving all the cannabinoids, terpenes and flavonoids intact. This advanced process sets us apart from competition in both purity and potency. MCBD products have ZERO THC and 100% legal in all 50 states.